hah. You’ve been bitten by the runner’s bug too! 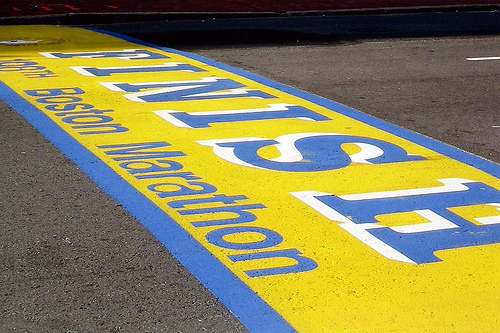 Trust me, the Boston Marathon gets harder to witness every year when you get that initial spark to run it. I was nearly hyperventilating at 10:40am this year when the charity runner’s gun time started. 🙂 YOU CAN DO IT! Thanks Jani!! Let me know if you want to run the Marblehead 5K for me and I’ll send you the link.. or I guess you can just run it without signing up. I’m not really sure how these things work yet!